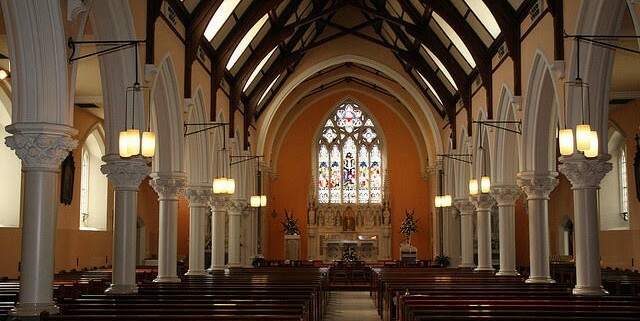 The Parish Development Buildings Committee is happy to announce the commencement of works that will see the BUILDING OF A NEW PARISH OFFICE, THE REFURBISHMENT OF THE PARISH PASTORAL CENTRE (previously known as the Parish Hall), THE RELOCATION OF THE BAPTISMAL AREA TO THE CENTRE OF THE CHURCH, NEW LIGHTING, AMPLIFICATION AND GENERAL DECORATION. The REFURBISHMENT OF THE CHURCH PIPE ORGAN AND AN UPGRADE OF THE CHURCH MAIN ENTRANCE. The preliminary work involves the preparation of the site beginning this week and the works themselves will start on Monday 5th October. 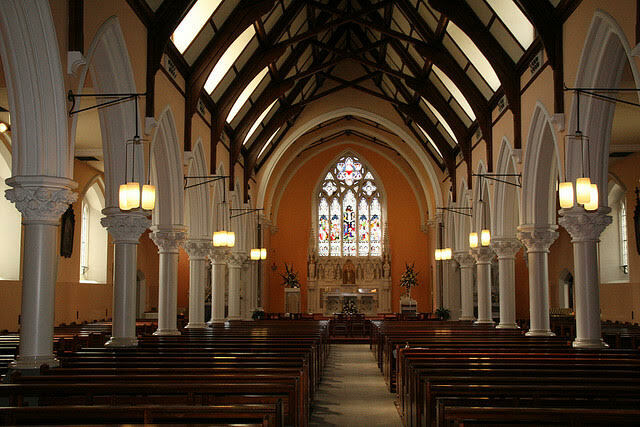 The project is estimated to last 45 weeks but crucially will allow for the celebration in the Church of Confirmation in March and first Holy Communion Ceremonies in April. In order to complete the works and renovation, the church will be closed from 3rd May and re open in August. During this time Sunday Masses will be celebrated in Holy Cross school hall and our local parishes will facilitate us for funerals, weddings and other services. We are grateful to the School Principal and Board of Management for facilitating the Parish. The cost of the project is in and around €3M. The funds were realised from the sale of the field to the rear of the Church in 2007 and the recent release of monies which were set aside as a guarantee that specified works would be carried out. As these were not carried out or were unlikely to be carried out in the near future these funds were released to the parish. After a competitive tendering process CEDAR CONSTRUCTION, Arklow won the contract to carry out the works. They are noted for the quality of their workmanship and in recent times completed the new Monastery of the Passionist Fathers in Mount Argus. The Parish Pastoral Council and priests of the parish wish to thank both the Development Buildings and Finance Committees for their dedicated hard work in ensuring that the this important project can now commence. We thank you the parishioners for your support and patience and ask that you continue to support it with your prayers in the months ahead. We ask God to continue to bless this work of ours and bring it to fruition so that we can gather, to break bread, celebrate and welcome the stranger amongst us.